Ramón Antonio Gerardo Estévez was born on the 3rd August, 1940 in Dayton, Ohio, USA of Spanish (father) and Irish (mother) descent. He is an actor well known under the name Martin Sheen. He is the winner of the Primetime Emmy Award, two Screen Actors Guild Awards as well as Golden Globe Award and many others. Sheen owns a star on the Hollywood Walk of Fame. 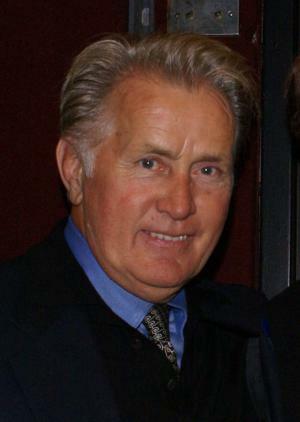 Martin Sheen has been accumulating his net worth as an actor since 1961. How rich is this legendary actor? It has been estimated that the overall size of the Martin Sheen’s net worth is over $50 million, accumulated during his more than 50 years in the film industry. The childhood of the actor wasn’t straight-forward; together with his nine siblings, he was raised in the orphanage as his mother died in 1950 and father could not handle the burden. He was educated at Chaminade High School, and afterwards he moved to New York in order to pursue a career in acting, even though his father disapproved this. The passion for acting was so strong that he deliberately failed the exam to enter the University of Dayton, as a result spending years at the Living Theatre Company. Subsequently however, his passion for acting resulted in much revenue to the total size of Martin Sheen’s net worth. His stage name Martin Sheen also has its own history, as he took one part of it from the name of Robert Dale Martin, the CBS casting director who helped him at the very beginning, and another part from the name of the televangelist Fulton J. Sheen, who inspired him spiritually. Talking about his career, he rose to prominence after landing roles in the crime film “Badlands” (1973), directed and written by Terrence Malick, and the iconic war film “Apocalypse Now” (1979), directed and produced by Francis Ford Coppola. For his role in the latter, the actor was nominated for BAFTA and American Movie Awards as the Best Lead Actor. Up until now, Sheen has created more than 120 roles in feature films, among which have been appearances in the very successful films “Gettysburg” (1993), “The Departed” (2006), and “The Amazing Spider-Man” (2012). Currently, he is working on the set of the upcoming feature films “Trash”, “The 33” and the documentary film “Unity” which will also increase the size of Martin Sheen net worth. Overall, Sheen has appeared in an astonishing 115 movies, so his versatility, and popularity at the box office is unquestioned, and has also consistently added to his net worth. In addition to this, Sheen has landed a successful career on television. His notable works there include roles in the television series “CBS Schoolbreak Special” (1980–1996), “Murphy Brown” (1988–1998), “The West Wing” (1999–2006) and “Two and a Half Men” (2003–2015). Sheen also landed parts in the well known television films “Taxi!! !” (1978), “The Guardian” (1985), “Nightbreaker” (1990), and miniseries “Blind Ambition” (1980) as well as “Kennedy” (1984). Martin’s appearances total almost 40. Martin’s voice is easily recognised by the documentary lovers as he narrated a number of them including “Secrets of the Titanic” (1986), “Taylor’s Campaign” (1998), “Winning New Hampshire” (2004), “Death by China” (2012) and many other, more than 50 altogether. On the whole, television is a very important source when it comes to accumulating the net worth of Martin Sheen. Finally, does Sheen have time for a personal life? Fortunately perhaps, this has been very stable of the actor, as he married Janet Templeton in 1961, and they have four children, all of whom have become actors. Currently, he has ten grandchildren and one great-granddaughter. 5 Frequently plays a Presidential or political character involved in the White House. See the The West Wing (1999), The Dead Zone (1983), Kennedy (1983), The Missiles of October (1974), Blind Ambition (1979) and The American President (1995).. He also did the narration in JFK (1991) and is active in politics. 1  I would say that maybe there are a dozen films I've done that are of significant worth and that were great experiences. But you should see the other 90%! The vast majority of them were to pay the bills. I don't think there's any actor who's been around as long as I have that wouldn't agree that a lot of what we do is for the money. You have to be honest about that. Because then when you do land something extraordinary like Apocalypse Now (1979), Badlands (1973), or The West Wing (1999), you *know* this is something really special. 2 [on his stance on abortion] I cannot make a choice for a women, particularly a black or brown or poor pregnant woman. I would not make a judgment in the case. As a father and a grandfather, I have had experience with children who don't always come when they are planned, and I have experienced the great joy of God's presence in my children, so I'm inclined to be against abortion of any life. But I am equally against the death penalty or war - anywhere people are sacrificed for some end justifying a means. I don't think abortion is a good idea. I personally am opposed to abortion, but I will not judge anybody else's right in that regard because I am not a woman and I could never face the actual reality of it. 3 James Dean had such a powerful effect on my generation. I'd love to have worked with him. I did a TV pilot with Sal Mineo once and I drove him crazy asking about Dean. He'd disappear when he saw me coming. On the last day, he came to my trailer. I said, "Sal, come on in!" He said, "No, no. I just wanted to say goodbye." I said, "Well, it was a pleasure working with you." As he walked away, he looked over his shoulder and said, "He would've liked you." 4 The last thing that really turned me upside down was [Robert De Niro] in Raging Bull (1980) - a transcendent performance. It tells us that if you're not able to forgive, this is where you end up: in a dark cell. 5 I don't like scary films. I watched Psycho (1960) for the first time recently, alone in the house at night. That was a mistake. I had to call my friend to come over. 6 I was shooting a movie in Rio this summer. I was at a street food place and four boys came up. They were pooling their money to buy something. I said to the counter guy, "Give them whatever they want." One of them, the leader, looked at me and I thought, "My God. That's me as a child." 7 [on the troubles his son Charlie Sheen has been experiencing] All of us have a repository of emotional life. We have a licence to explore that private pain and bring it public, but only for the purpose of playing a character. It's called emotional memory. This one is very difficult because it's so deeply personal and painful. 8 [on filming The Way (2010) on the Camino di Santiago de Compostela] Pilgrimage is structured so it takes you out of your comfort zone. You pack all the things you need and soon you realize it's too heavy and have to start unpacking. Then the transcendence starts on stuff you've packed in your interior life, and you begin opening those closets and cells and dungeons and letting all the people out you've been punishing all your life. 9 [on missing out on the role of Michael Corleone in The Godfather (1972)] I was wrong for it but you never pass up an opportunity. I remember saying to Francis Ford Coppola - that was not the first time I had met him - "If you don't use Al Pacino in this part, it would be like benching Joe DiMaggio in his prime." 10 [on changing his name] I never changed it officially. I never will. It's on my driver's license and passport and everything: Ramon Gerard Estevez. I started using Sheen, I thought I'd give it a try, and before I knew it, I started making a living with it and then it was too late. In fact, one of my great regrets is that I didn't keep my name as it was given to me. I knew it bothered my dad. 11 Whenever I would call for an appointment, whether it was a job or an apartment, and I would give my name, there was always that hesitation and when I'd get there, it was always gone. So I thought, I got enough problems trying to get an acting job, so I invented Martin Sheen. I've never changed my name; it's still Estevez officially. 12 I adored Mr. Clinton. And he was a fan of The West Wing (1999). For a while, we were given carte Blanche at the White House, which ended when Bush got in - ended for me anyway. When the new administration got into power, all my "West Wing" colleagues were invited there to meet their counterparts. All except me. I was very relieved about that. 13 I consider myself a liberal Democrat, but I'm against abortion. 14 [on son Charlie Sheen] No father could ever be prouder of his son. I hold Charlie's accomplishments dearer than my own. He has been through so much and overcome so much more. Even if he weren't my son he'd still be my best friend. 15 [on his political activism and arrests for protests] I love my country enough to suffer its wrath. 16 I love being Spanish as much as I love being Irish, and I really love being Irish. 1 Underwent quadruple heart bypass surgery in December 2015. 2 As of 2015, he has appeared in five films that were nominated for the Best Picture Oscar: Apocalypse Now (1979), Gandhi (1982), JFK (1991) The Departed (2006) and Selma (2014). Of those, Gandhi (1982) and The Departed (2006) are winners in the category. 3 President Bartlet's habit of forgetting the names of staff is a reference to the fact that Sheen is known to be terrible at remembering the names of cast and crew members. 4 Acting mentor and friend of Dulé Hill. 5 Best known by the public for his starring role as Pres. Josiah Bartlet on The West Wing (1999). 6 On the TV Show Who do you think you are? Martin Sheen found some interesting things about his family. He traced some of his fathers ancestors in Spain and found out his fourth great grandfather was a Don who had an extramarital affair with Martins fourth great grandmother and had six kids with her. After doing some more digging, they found out he was a judge and found a court case he tried about a girl who had an affair with a cleric and had an abortion. Unbelievably, while doing the genealogy, it turned out that the girl was also his fourth great-grandmother. 150 years after the court case, their second great grandchildren married each other and became Martins grandparents. 7 He has two roles in common with Cliff Robertson: (1) Robertson played John F. Kennedy in PT 109 (1963) while Sheen played him in Kennedy (1983) and (2) Robertson played Ben Parker in Spider-Man (2002), Spider-Man 2 (2004) and Spider-Man 3 (2007) while Sheen played him in The Amazing Spider-Man (2012) and The Amazing Spider-Man 2 (2014). 8 He has never been nominated for an Academy Award. 9 Uncle of Amanda Estevez, Casey Estevez and Angela Estevez. 10 Brother-in-law of Constance Estevez. 11 Lives in Malibu, California. 12 One of his earliest successes as an actor was playing the role of Timmy Cleary in the Pulitzer Prize-winning play "The Subject Was Roses" on Broadway, for which he was nominated for the 1965 Tony Award for Supporting or Featured Actor in a Drama. He also played the same role in the 1968 film version. Forty-six years later, in 2010, he again appeared in a production of "The Subject Was Roses," but this time playing the role of John Cleary, Timmy's father (and this time in Los Angeles instead of New York). 13 An opponent of euthanasia, he taped an ad in 2008 urging residents of Washington State to vote no on Initiative 1000, which would allow doctor assisted suicide of terminally ill patients. The initiative passed. 14 Purposely flunked his college entrance exam to the University of Dayton so that he could pursue an acting career instead. His father wholeheartedly disapproved until he had gained popular success, not even seeing Martin act until he saw him on the screen at a drive-in in his hometown of Dayton, Ohio. 15 Grandfather of Taylor Estevez, Paloma Estevez, Lola Rose Sheen, Bob Sheen, Max Sheen, and Cassandra Sheen. 16 Former father-in-law of Donna Peele, Denise Richards, Paula Abdul, and Brooke Mueller. 17 Never officially changed his real name to his stage one. He is still Ramon Estevez on all identifications and legal documents, and all his children were born under that name. He answers to both names with friends, but his wife first met him as Martin (he did not tell her his real name until weeks later) and as a result she still calls him that. 18 He was considered for the role of Sgt. Max Greevey on Law & Order (1990). 19 In 2004, he was listed as an endorser of March for Women's Lives. After learning about this, Feminists for Life, an organization that named him as a "Remarkable Pro-Life Man" in 2001, brought this to his attention, informing him that March for Women's Lives was a pro-choice group. At his request, March for Women's Lives removed his name from their list. 20 Considers his late The West Wing (1999) co-star John Spencer his best friend. Like Spencer, Sheen successfully recovered from drug and alcohol addictions. 21 [October 2006] Pursuing a three-year Bachelor of Arts degree in English literature, philosophy, and oceanography at the National University of Ireland (NUIG), Galway, Ireland. 22 As an admirer and supporter of actor James Dean and his legacy, he worked to preserve the high school in Fairmount that Dean attended. In addition, he has visited Fairmount for Dean-related events. 23 Received an honorary doctor of letters degree from Marquette University (2003) in Milwaukee, Wisconsin, during the dedication of the school's new library (according to the Milwaukee Journal Sentinel web site). 24 According to friends and family, he is closest to son Charlie than anyone else. Indeed, he and Charlie often appear together on the screen, and Martin has even played Charlie's on-screen father twice. He also appeared as an older "Charlie" in a credit-card commercial. 25 Suffered a severe heart attack while filming Apocalypse Now (1979). 27 Of all the U.S. presidents, he admires Jimmy Carter the most. 29 Has played both Attorney General Robert F. Kennedy in The Missiles of October (1974) and President John F. Kennedy in the mini-series Kennedy (1983), and is one of only three actors to portray both brothers. The other two are Cliff De Young and Kevin Anderson. 30 Due to his commitment to The West Wing (1999), was unable to reprise the role of Robert E. Lee in the Gettysburg (1993) prequel, Gods and Generals (2003). The role was instead played by Lee descendant Robert Duvall, who starred with Sheen in the popular Vietnam War film Apocalypse Now (1979). 31 Was nominated for Broadway's 1965 Tony Award as Best Supporting or Featured Actor (Dramatic) for "The Subject Was Roses," a role that he recreated in the film version of the same name, The Subject Was Roses (1968). 32 He can only put his jacket on by flipping it over his head (like Bartlet in The West Wing (1999)). His left arm was crushed by forceps when he was born and he has limited lateral movement. 33 Has memorized and can sing every single Frank Sinatra song. 34 His father, Francisco Estevez, died shortly before the premiere of Blind Ambition (1979). As he was unable to attend the funeral, Martin mourned his father in the scene in which John Dean cries in his jail cell. 35 Along with Steve McQueen and James Dean, is mentioned in R.E.M. 's song "Electrolite.". 36 Was arrested more than 70 times, mainly for liberal protests. 39 His left arm is 3" shorter than his right due to complications during his birth. 40 His admiration for the Rev. Fulton J. Sheen prompted him to adopt the bishop's name for his acting career. 41 Has played American presidents four times; Jed Bartlett on TV series The West Wing (1999), in the TV movie Medusa's Child (1997), as John F. Kennedy in the miniseries Kennedy (1983), and as the "future" president (in a premonition) Greg Stilson in The Dead Zone (1983). 42 Stumped in Florida for Democratic gubernatorial candidate Janet Reno in her unsuccessful campaign against sitting Gov. Jeb Bush, June 2002. Reno also drew major support from Rosie O'Donnell and Elton John. 43 Was considered for the recurring role of Sloan on Star Trek: Deep Space Nine (1993). 44 His mother, Mary Ann Phelan, was an Irish immigrant with IRA connections, and his father, Francisco Estevez, was a Spaniard who came to the U.S. by way of Cuba. 45 Publicly credited Carroll O'Connor for helping his son Charlie to get off drugs and back on the right track. He read one of the scriptures at Carroll's funeral. 47 Auditioned for the role of Michael Corleone in The Godfather (1972). 48 Is a strong advocate for the closing of the School of the Americas, a military base that trains Latin American soldiers (allegedly teaching techniques of torture and political terror). Has been involved in a large protest every year since 1998. 50 Older brother of actor Joe Estevez. 51 Father of Charlie Sheen, Emilio Estevez, Renée Estevez and Ramon Estevez. 52 Born at 8:03 p.m. ET. Queen 1993 TV Mini-Series James Jackson Sr. The War at Home 1996 performer: "The Ballad of Palladin"
1989 Star on the Walk of Fame Walk of Fame Motion Picture On 22 August 1989. At 1500 Vine Street.